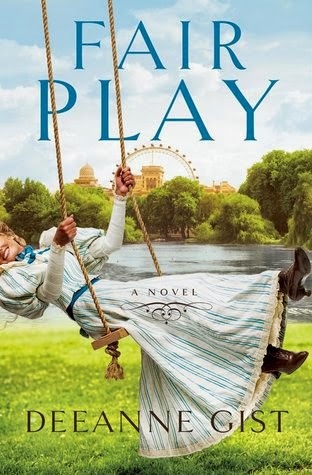 I had an absolute blast reading the novel ‘Fair Play', which had me both entertained and spellbound! I went the full emotional gamut from laughing out loud at some of the funniest scenes I've ever read, to experiencing sorrow and shock at the depiction of other grimmer parts. Set in and around Chicago’s World Fair of 1893, we're treated to a photographic excursion by not only the enlightening and descriptive information about the fair, but the charming timeworn snapshots which are displayed in relation to the text. It is at Columbus Hall we first see the forward-thinking woman doctor Billy Jack Tate being introduced to the masculine and rugged traditionalist Texas Ranger Hunter Scott, in a rather mortifying manner! The tables are soon turned however in a hilarious scene when Hunter is embarrassed beyond all measure before her. An unlikely friendship develops out of their encounters which leads Hunter to seek out Billy’s help when coming across an abandoned baby while on guard duty at the Fair. They team up to find him a place to live, but cannot bear it when his only likely home is in Chicago’s West Side and surrounded by debris and filth, no grass in sight, rats for companions, and saloons and the like being the only places of amusement. Just as troubling are the many street kids and gangs. Together they embark upon a mission to develop a type of playground, birthing America’s Playground Movement. But will the street gangs prove a greater threat than Hunter and Billy had credited them to be? Hunter and his ‘Billy girl’ as he endearingly calls her, soon find their feelings developing and passion igniting. But with each of them staunchly dedicated to their work, do they even have a future? Billy’s desire to have a successful practice in Chicago majorly conflicts with Hunter’s plans to leave for Texas and get back to working with his fellow rangers as soon as the fair ends. And this conventional Ranger (loved his use of classic Texan catch-phrases!) is not about to let his woman be the wage-earner in 'his' home anyway! A woman’s place in society isn't the only controversial topic of the era highlighted in 'Fair Play'. Other issues are also exposed, such as the rights of children, the underprivileged, housing conditions, immigrants, the drinking age, etc. On the lighter side, Hunter and Billy, who are both plenty stubborn, deliver an entertaining dialogue peppered with amusing arguments and sassy comebacks that are a real treat to read. The romance is written in true Deeanne Gist style-- wonderfully romantic and passionate. And while some may prefer more Christian elements to an inspirational story, 'Fair Play' is clean and there are many positive messages to take away, including learning how compromise is an essential part of a relationship. An unrushed and satisfying epilogue finishes off this extremely enjoyable book! This book may be purchased from Amazon; CBD; Barnes & Noble; BAM etc. Great interview ladies . I would love to win a copy of FAIR PLAY . It looks so good . Oh PATTY then this is THE book for you!! I'll smile often while reading but not many make me LOL - this one definitely did that!! Thanks DIANA, and yes this is an excellent story about women doctors - some wonderful and fascinating history along with some big laughs!! You're welcome LISA and I hope you get to read this wonderful book soon!! God bless you! Oh wait - you CAN see her smile, okay then, I wanted to see the twinkle in her eyes :) Also, was going to share that Ron (DH of 46 years) made me a heavy duty tree swing so even as a fluffy Grami, I could swing! I love it! Lol CARYL, thanks for the chuckles this morning!! Yes it was the twinkle you were wanting to see! ;) And I LOVE the 'fluffy Grami' moniker!! And thanks also for that great compliment! Sometimes I can get a bit down on myself with reviews so that was really encouraging. Bless you. And have FUN on that tree swing!! oh my, with a name like Caryll with my Y, I tried to give Deeanne an A when her mama gave her an E, I apologize, Deeanne. I know a Deeanna :) Hugs and blessings from Texas, and you're welcome Noela!! Thanks DANIE, I hope you get to read this fabulous story soon!! Blessings my friend! I would love a chance to win this book --it sounds like a very fun read! Grr--trying to finish my post.. I 'follow' Ms. Gist's Two Minute Tips for Aspiring Writers & while visiting my mom a couple days ago, I mentioned these video's to my mom, saying only Deeanne--no last name, & my mom asked me, You mean Deeanne Gist? I just finished reading one of her series. Turns out, my mom has the complete 8 book series &she inherited from her late sister--and she gave them to me! I couldn't bring the weight of 8 books on my trip to Hong Kong (currently stuck in Seattle...) but I'm excited to read her books! My 1st of her books to have opportunity to read. VICKI, your mum obviously has GREAT taste! ;) And how cool that she gave you her collection! You certainly have some awesome reading ahead of you!! Hope you get to add this one to your collection soon. YES you absolutely do DUTCHY!! ;) And make sure you let me know your thoughts afterward! :-) Thanks again for helping out with posting the links when I wasn't well. Bless you! Awesome review! This one is now on my TBR list! Thanks ALYSSA, great to hear! You're going to love it and if you win, you'll get to read it even sooner!! Blessings! We have that in common ANNE, I love them too! And Deeanne writes them sooo well! ;-) Thanks Anne! Definitely fun and adventurous, and also incredibly romantic and historically fascinating! An awesome combination! :-) Hope you get to read Fair Play soon LINDA!! Great review, great book, great cover! I am all in on this one! Haha, excellent MELANIE!! :-) All the best with your entry!! Beautiful review, Noela, and a beautiful cover on "Fair Play!! Thanks!! "Fair Play" sounds like quite a fun book that also tackles numerous important subjects!! I'm sure the scenes with the baby are quite touching and love the fact that it includes plenty of romance and passion also!! I haven't read any of Deeanne's books and would love to read this one!! Thanks for the opportunity to win a copy!! Ohh BONNIE, then you absolutely MUST read this one and then all of her others as well, lol!! I love books (and movies) that have a bit of everything in them and this one fits the bill for that perfectly. :-) Thanks and hugs to you Bonnie! What a great review, I haven't read Deeanne's books lately would love to win this one. Great review. This sounds like a wonderful read. Thanks KATRINA, it really is a fabulous read!! All the best!! What a great review! This sounds like a wonderful book! I'd love to read it! Glad you enjoyed the book, Noela! Big hugs! Thanks CARRIE, and thank you for sending me the book for a b/day gift!! Hugs and love! KATHLEEN, it's definitely a fun way to learn about Chicago's World Fair all that time ago. I find it absolutely fascinating too and surprised at just how quick progress was becoming around that time. Isn't it great to see playgrounds still around, but I think that perhaps they're not as used as much as they once were. I have fond memories of playgrounds from my childhood as I'm sure most of us have here. I wonder if the next generation will? Blessings Kathleen and all the best with your entry! This does sound like a fantastic read. MARY, it really is an extremely enjoyable book to read! Hope you get to read it!! I do like to read about lady doctors, and would love to read this whole book. That was a great blog review. Thank you KAYE. It was very admirable and brave of those early female doctor pioneers to pursue their calling considering the opposition they had to face! You'll love this book Kaye!! Fair Play sounds full of life and great characters. The World's Fair must have been so interesting at that time. Please add me for the drawing! Thanks for a great review! I have always loved reading Deanne Gist's novels. Mary Lou, So glad this comment went up! Noela is in Australia, asleep, but I know she'll come by later! Hugs!!! That's great MARY LOU, thanks, and I love that Deeanne is a new author for you. I so hope you get to read her books because you'll be in for a real treat if you do!!! Blessings! What a great review. I would love this book! I never have to be convinced yo reaf one of Dees books! I love Deeanne's books. They are always so much fun.